Get up to 7 free auto shipping quotes from the largest, most trusted Wyoming auto transport companies and save up to 50% on your car shipping rates at CarMoves.com. Car shipping companies in Wyoming compete for your business, which is how you can save hundreds, if not thousands of dollars on car transport services by shopping with us. Whether you're shipping a car to Wyoming, across the country, or even overseas, we can help you get the best price on your shipment - guaranteed! Read more about the following auto transport companies in Wyoming before getting a quote. Click on the name of the company to read a full review. Get a free auto transport quote today to find out how much it costs to ship a car to or from Wyoming! One of the great Northwestern states, Wyoming remains as the least habited, most pristine states in the nation. Wyoming's rugged landscapes and towering mountain chains make it highly inhospitable in certain locations, but a popular tourist and outdoorsmen area. Some of its characteristic mountains include the Black Hills, the Teton Range, and the Wind River Mountain Range, among others. Due to the large amount of public parks and reserves, nearly half of the state's land is owned by the federal government. Its cold temperatures reach average low temperatures below zeroes in several cities, though precipitation levels are fairly low across most of the state, excepting the southeastern quarter. Because the Great Plains end in Wyoming, eastern portions of the state are vulnerable to tornadoes and other characteristic weather of the region. During the colonial period, Wyoming was owned primarily by Spanish and, later, Mexican rulers. The territory was surrendered to the US at the end of the Mexican-American War in 1848. Quite famously, early reports of the fantastic Yellowstone region were regarded as tales of fantasy until official government reports confirmed them in the 1860s. As a result, Yellowstone National Park was recognized in 1872, becoming the first national park in the world! Early on, Wyoming adopted a progressive outlook toward's women's rights, granting them the right to vote before it ever gained statehood in 1890. Due to a lack of precious metals that, in contrast, were mined in nearby Colorado, Wyoming was slow to grow until late in the 20th century, when the area became essential for coal mining operations. 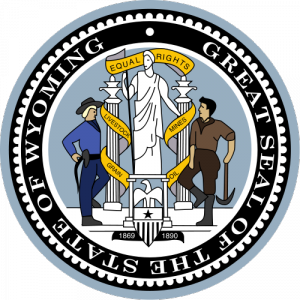 Cheyenne is a city of key importance to Wyoming, being its capital and most populous city and metropolitan area. Located in far southeastern Wyoming, Cheyenne lies at the northern end of the so-called Front Range Urban Corridor, an area of human settlements east of the Rocky Mountains - the majority of which are in Colorado. Economically, the area has solidified thanks to the strong local and federal government presence there, including the nearby F.E. Warren Air Force Base and facilities for the Wyoming National Guard. Cheyenne has plenty of retail facilities too, including one of the state's three malls, but it lacks any significant higher education facilities. Instead, students may travel about an hour west to Laramie to visit the University of Wyoming. Despite this, the city is still the closest Wyoming has to a dense urban area. CarMoves.com works with car shipping companies throughout the state of Wyoming. We can help you get the best prices on car transport services to the following cities in Wyoming: Cheyenne, Casper, Laramie, Gillette, Rock Springs, Sheridan and many more. If you don't see your city listed, don't worry - we can get your vehicle shipped anywhere in Wyoming. Scroll to the quote section on this page to compare free auto shipping quotes from up to 7 Wyoming auto transport companies and save up to 50% on your move! View the Wyoming Department of Transportation website for more information.